When I was a graduate student, I had a professor in a creative writing workshop who would occasionally pick apart someone’s story in front of the entire class. It wasn’t for the faint of heart. But it was educational. There were about fifteen of us in the class, aspiring writers all. We would craft short stories, bring them to class, and share them with each other, critiquing our stories and writing comments in the margins. For the most part, the professor, a balding, bespectacled gent originally from London, served only as a moderator, facilitating the discussions and making sure the group stayed on topic. But every now and then, he would decide to single out a particular story, and use it as an illustration of what not to do. One day, he chose the topic of cliches. He then proceeded to eviscerate one young woman’s story, pointing out no less than half a dozen time-worn phrases in her ten-page piece. I felt bad for her–brilliant as he was, this professor was not known for his tact. Nevertheless, some of his lessons have stuck with me over the years, and whenever I edit one of my stories, I tend to keep an eye out for cliches. I can’t guarantee that The Eye-Dancers is cliche-free. Far from it! But, with hope, there are very few cliches in the book. In fact, if anyone can spot a cliche in the first three chapters, which are included on this website, please contact me, and I will send you a copy of the book for free! Let’s call it The Eye-Dancers cliche challenge. This gets me thinking about the entire creative process–from typing that first word, to sharing your work with others, to submitting it for publication. It’s a challenging thing. 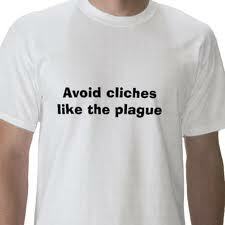 Looking out for cliches can sometimes take a backseat to the seemingly more important items on the writing list. I mean, executing a story idea is no small feat. It takes time, effort, blood, sweat, and tears. Inspiration, after all, is 99% perspiration. And coming up with a new twist for a story isn’t easy. You have to push the envelope, think outside the box, and make sure you come up with an idea that hasn’t already jumped the shark. Staring at a blank computer monitor, the cursor blinking, as if taunting you, can be intimidating, but trusting the creative process is essential. The key is to type that first word and then keep going, keep working, and keep chopping wood. If the idea takes flight, you will feel like a kid in a candy store–it’s almost too easy, too much fun! Putting the pedal to the medal, you may speed right through the story, feeling like a champ. But then you step back, inhale deeply, and take the time to read through what you’ve written during that whirlwind first-draft cyclone. You may groan. The rose-colored glasses are off now, and you see the results as clear as day. The idea may have been worthwhile, the writing, in general, may even be passable. 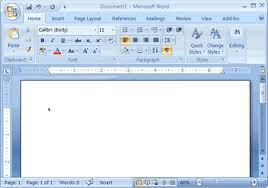 But, being a first draft, the manuscript is littered with inconsistencies, poor sentence construction, the works. 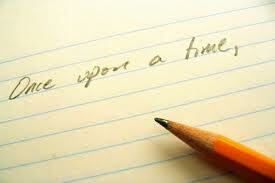 The job of turning out a polished, completed story has only just begun. Knocking on wood, you hope you can start again at the top, put your nose to the grindstone, go the whole nine yards, and produce a top-notch piece of work. There is still much to do, but it’s time to roll up the shirtsleeves, raise the bar, and shoot for the stars. It’s easy at this stage to want to rush through the edits and just say the thing is done. But patience is a virtue, and, if you’re planning on submitting the story for publication, well–you never get a second chance to make a first impression. Everything needs to be perfect, and you have to give 110%. Finally, after a second and third, and fourth edit, the story is finished! The problem? You’ve read, reread, edited, and reedited the piece so many times, you’re bleary-eyed and tired of it. You decide to set it aside for a day or two, then read it one last time before sending it out. When you read it again three days later, you are satisfied–it’s ready. It’s time to submit the story, sink or swim, do or die. Who knows what the editor will think of it? All you can do is send it off, and let the chips fall where they may. Nothing ventured, nothing gained. And then you wait, and wait, and wait, and wait . . . and finally, after five months, a postcard arrives in the mail. You read the note again. It’s frustrating. After all the work, all the revisions, you don’t even receive a personal response. Dejected, you wonder why you bother, but then you realize–there are so many other outlets where you can submit your story. There are other fish in the sea! Rejuvinated, you send the story to five other places within the next couple of days. After all, when life gives you lemons, make lemonade! 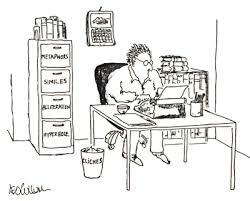 Besides, rejection is as much a part of the writing life as, well, writing. It’s par for the course. Some of the magazines you’re submitting to inform that they do not want simultaneous submissions–but this doesn’t seem fair. So you simultaneously submit anyway! Living dangerously can be fun. And you need to break a few eggs if want to make an omelet. Meanwhile, as you wait to hear back from these five new outlets, you are working on a novel–a vast, multi-layered tome that will likely take months, maybe years, to complete. And then the process will begin anew–perhaps querying agents, publishers, networking. Maybe you will try the indie author route. So many options! Life is a bowl of cherries. One day, months later, while working on chapter twenty-one, you receive an email from one of the magazines where you submitted your short story. You sigh, print the email, and toss it into a rejection pile on the edge of your desk. You toy with the idea of wallpapering your room with these slips. Oh well. That’s just the way the cookie crumbles sometimes. The story is still under review elsewhere. Maybe someone is considering publishing it. You never know. Your fortune can change in the blink of an eye. And truth is stranger than fiction. A week later, another rejection slip–snail-mail. But this one has a handwritten note! “Great prose. Keep up the good work.” A rejection never felt so good. You pin the slip on the wall, and get back to the novel. There are still a dozen chapters to write, and hundreds of pages to edit, watching out for, among other things, all those pesky cliches! “The life of a writer,” you say with a smile. It was just one of those questions that sometimes pop up during the course of a conversation–unplanned, spur-of-the-moment. I was having lunch with a friend, an accountant who had just confessed to me that he’d never so much as attempted to write a short story in his entire life, let alone a novel. What motivated me to create fiction, to invent stories and situations and then share them with others, he wanted to know. I opened my mouth, then closed it. It was such a straightforward question. And yet–no one had ever actually asked it of me so plainly, so baldly. Why did I write? On the surface, it seemed, I should have had an answer ready. After all, writing was my passion, and always had been. I could remember writing stories as far back as the second grade. But I wasn’t sure how to respond. Did I write because it was fun? Sometimes. When a story flowed, when the words spilled out of me so fast I couldn’t type quickly enough, when characters spoke lines that seemingly came directly from them, supposed figments of my imagination, and not from me at all, it was a rapturous experience, a high like no other. But other times, it was brutal, as I dissected, edited, and picked apart my work. Was it rewarding? Yes, of course. 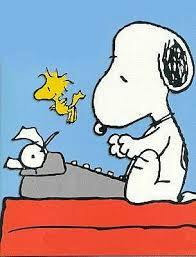 But that, in and of itself, didn’t capture the essence of why I write. My friend’s straightforward question suddenly seemed more complex. My friend had a thoughtful look on his face, and I expected he’d follow up with more questions. But then he just nodded, and changed the topic of conversation. That night, I lie awake, thinking about it, and the exchange bothered me. My answer seemed too pat, too simple. My need to write, and to share my writing with others, went deeper than that. I just wasn’t sure how to express it. It was like trying to lasso a passing summer cloud, high overhead, force it down to ground level, and then jump inside, hoping it would float away again, taking me along for the ride. How was I supposed to put something like that into words? That conversation happened twelve years ago. . . . The question of why I write is not unrelated to another question I get often: “Where do your story ideas come from?” On the surface, the two questions are different–but in actuality they are linked, two sides of the proverbial coin. Ideas, I have found, cannot be “forced.” I cannot wake up one morning and state, boldly, “Today I will think of a new short story and write it.” It doesn’t work that way–at least not for me. In my experience, ideas come when I least expect them–while I’m out mowing the lawn, running an errand at the store, taking a walk along a quiet country road. Sometimes ideas come when I’m at a large gathering, even while in the midst of a conversation. And sometimes they come in my dreams. The genesis for The Eye-Dancers came to me over twenty years ago when I dreamed of the same “ghost girl” Mitchell Brant dreams of in the first chapter of the novel. But when I woke up, I didn’t know what to do with this strange, haunting girl. I knew I wanted to write about her–but I had no story in which to place her. It took two decades until I did, when, once again, I dreamed of her. But this time, upon waking, I had the basic concept of the story in place. And despite the fact that it all began with the ghost girl, the story would really be about four boys who ultimately go on a dimension-busting journey, where they not only have to overcome the otherworldly dangers they are confronted with, but also the insecurities and hang-ups that plague them. I knew right away, as soon as I woke up that morning–this was a story I had to write. For me, there is no other way. 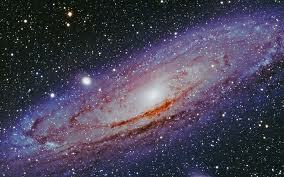 I can have–and have had–grand ideas, rich concepts, fantastic plotlines that never will see the light of day. The reason? I don’t care deeply enough about them. The idea, in and of itself, might be interesting, but it doesn’t grab me by the throat and demand a life and vitality of its own. 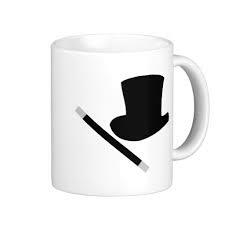 It just sits there, like a Victorian gentleman sipping his afternoon tea, pondering the benefits of a nap. If I tried to write about it, it would come out dull and drab–and it would, indeed, inspire a nap! With a novel, in particular, you have to love your characters, love what you’re trying to create. It is too long, too formidable of a project to accomplish otherwise. There were days while writing The Eye-Dancers that I honestly didn’t know if I could continue. The task seemed too large, too hard, too daunting. But then, when apathy threatened to take over, I would think of the themes the story delves into–themes I care deeply about: the essence of childhood, the art of discovery, the struggles and joys of growing up, the curiosity to wonder, the daring to believe in magic, the exploration of the universe, and of what we term “reality” itself. And perhaps most important of all, I would think of Mitchell Brant, Joe Marma, Ryan Swinton, and Marc Kuslanski–four characters inspired by friends I knew growing up. The Eye-Dancers is their story, and I wanted, needed, to tell it. And maybe that’s the best way I know to explain why it is I write fiction, and why I desire others to read what I have to say. I write to explore and further awaken pieces of me, and I want nothing more than to share those pieces, those memories and truths, those fears and loves, with you. It is my hope that The Eye-Dancers accomplishes all of that, and more. When it’s all said and done, I look back at this and smile. Because maybe, just maybe, the answer I gave my friend all those years ago is, ultimately, the best answer of all. Why do we do what we do? Why do we follow our passions? What makes us driven to write and sing and dance and act and garden and play and cook and paint and love, and do those things we were put on this earth to do? It’s just something in me, that’s all. It’s something I have to do. Certainly, prior to the game, a miracle was the only hope anyone gave the American hockey team. Composed of a collection of college kids, the U.S. team was a hard-nosed, well-conditioned group, but way out of their league squaring off against the Soviets. The Soviet team, which had won every gold medal since 1964, was considered the best in the world, more powerful, even, than professional teams in the NHL. In fact, just months before the start of the 1980 Olympics, the Soviets had thrashed an all-star team of NHL players, 6–0. 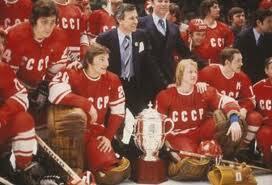 And days before the Olympics began, the Americans faced the Soviets in an exhibition game, losing 10–3. For Team U.S.A, it appeared to be a case of Mission Impossible. To everyone on the outside, that was. 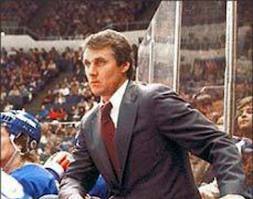 But Coach Herb Brooks believed in his team’s chances, and instilled in them that same belief. Team U.S.A. had talent, of course. They represented the best amateur players in the country. But it wasn’t talent that would enable them to defeat the “unbeatable” Soviets. It was an ability to believe in the near-impossible, a faith to hold on to their dreams in the face of seemingly insurmountable odds. It was, in short, a belief in miracles. In the Twilight Zone episode “Kick the Can,” this same principle is explored, tested, and, ultimately fulfilled–for all who believe. For those who don’t–the ending is quite different. Charles Whitley is a retiree who lives at the Sunnyvale Rest Home. One summer day, while looking out the window, Charles can’t help but notice a group of children playing Kick the Can and Hide-and-Seek on the grounds of the Rest Home. He’s delighted watching them, and remembers playing the same games in his youth. His roommate, Ben Conroy, is less nostalgic, and just wants the kids to go away so he can have some peace and quiet. “They’re making enough noise to raise the dead,” he moans. Listening to this, Ben thinks Charles is going crazy, and worries about him. And when Charles persists in his new outlook, when he starts acting like a kid, playing tricks and running through sprinklers, the other residents of the Home begin to wonder about him, too. That night, late, Charles wakes the residents up, asking them to remember the way it used to be, when they were kids, how they would sneak outside and play Kick the Can. The others reminisce, too, wistfully. “Seems like a million years ago.” “Look how I’ve changed,” they say. The others join him–all except for Ben, who thinks it nothing but foolishness. They’re old, he says. They’ll hurt themselves trying to play a children’s game. Charles won’t accept that. “There is magic in the world,” he says. . . . “And maybe–Kick the Can is the greatest magic of all.” But Ben won’t go–he remains inside while the others head out to play. Later, when he does go outside to see what’s happening, Ben is amazed to find a group of children playing Kick the Can. Only then does he realize–Charles had been right. The magic did exist. It was real. Wanting to join his friends, now magically transformed into children, Ben, begging for a second chance, asks the suddenly young Charles to take him along, too, to make him a kid again. But Charles the boy no longer recognizes him, and returns to the game. The gravity of it hits Ben hard–it’s too late. For the miracle to happen, for the magic to work, he had to believe when the others did. It is no different in The Eye-Dancers. After Mitchell Brant, Joe Marma, Ryan Swinton, and Marc Kuslanski are marooned in the variant town of Colbyville, they discover that the only way to make the trans-universe journey back home is rife with question marks, uncertainties, and risks. After everything they’ve faced, the challenges and dangers they’ve overcome, their chances of getting back to Earth seem all too bleak. On the night they intend to go back home, utilizing methods they don’t understand and relying on the same “ghost girl” who got them into this jam to begin with, Joe Marma struggles to try and find a reason for optimism. He does. Reflecting on everything that’s taken place, he believes that, somehow, some way, someone must have been watching out for them the entire time. Too much had happened, too many fortuitous “coincidences” had occurred, to chalk it all up to blind chance. ” . . . Or so he wanted to think. Maybe it wasn’t true. Maybe they were just lucky. All that mattered was that they believe. . . . So, to return to Al Michaels’ question at the end of Team U.S.A. defeating the vaunted Soviets. It might just as well have been rhetorical. No one would have blamed Michaels for not providing us with an answer. It was an answer that the four protagonists in The Eye-Dancers would, by novel’s end, agree with. It was an answer the residents of Sunnyvale Rest Home not only agreed with, but lived out. All but one, anyway. It was an answer, I hope, that we all can echo . . .
A Best Moment Award and a Dragon’s Loyalty Award! Once again I am humbled and grateful to be nominated for more blogging awards. I really didn’t know how The Eye-Dancers blog would be received when I launched the site late last summer. I was brand-new to blogging, and, frankly, a little intimidated! 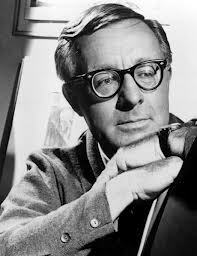 I had no idea if anyone would really want to read my ramblings on The Eye-Dancers the novel, comic books, The Twilight Zone, old movies, writing, and other often odd and sundry tidbits. If I had only known how welcoming the WordPress community is, I’m sure I would have started this blog long before I did! So, to begin, a heartfelt thank-you to everyone who follows, reads, peruses, and visits The Eye-Dancers site! I’ve said it before, but it certainly bears repeating. I wouldn’t be here if it weren’t for you, your comments, feedback, and support. You’re the best. The Eye-Dancers has been nominated for two new awards: The Best Moment Award, and The Dragon’s Loyalty Award. I have also been re-nominated for a Very Inspiring Blogger Award and a Versatile Blogger Award. I was fortunate enough to have been nominated for these awards previously, but I wanted to thank Jenny from It’s Jenny the Wren, Mandy from mandyevebarnett.com and Josephine at Joseyphina’s World for the Very Inspiring Blogger Award nominations. And I wanted to thank cookingwithsapana, Meridith at tinkerbellproject, and Perpetua at theseeker for the Versatile Blogger Award nominations. Your ongoing support is much appreciated! And I certainly encourage everyone to visit these first-rate and very engaging websites. Thank you very much to Erica and Joseyphina for nominating The Eye-Dancers for the Best Moment Award! They each have wonderful blogs, and I make sure to stop in often for a visit! An acceptance speech? Wow. This strikes me as a very daunting thing! So, I have asked for a bit of help from four individuals without whom this website would not exist–Mitchell Brant, Joe Marma, Ryan Swinton, and Marc Kuslanski! . . . 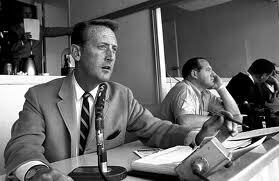 Please pull up a chair, as the great Vin Scully likes to say in his baseball broadcasts, and browse through each and every one of these outstanding websites! I’m sure you’ll enjoy them as much as I do. The second award nomination, the Dragon’s Loyalty Award, comes from Tazein at her wonderful Transcending Borders Blog. Thank you, Tazein, for all your support of The Eye-Dancers and for creating such an inspiring blog! Without further delay, here are 7 things about me . . .
1. 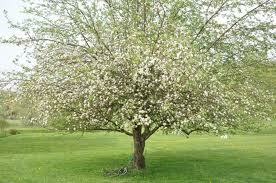 My favorite season is spring. After the long Vermont winter, there is such a level of excitement and expectation for the season of rebirth, and a longing to see greenery and flowers and leaves again. This, despite the fact that I have seasonal spring allergies! 2. 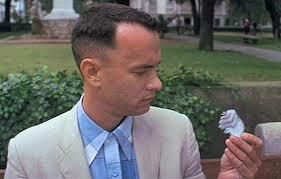 One of my all-time favorite movies is Forrest Gump, inspired by Winston Groom’s novel of the same name. To me, it is a film for the ages, and Tom Hanks gives, arguably, one of the greatest performances in the history of the Silver Screen with his portrayal of Forrest. Director Robert Zemeckis said of the screenplay that, as he read it, he couldn’t put it down, because he had no idea what was going to happen next. One of the many reasons I love this movie is–on the one hand, it’s a simple fairy tale, an imaginary adventure that takes the viewer on a fun and wild ride. 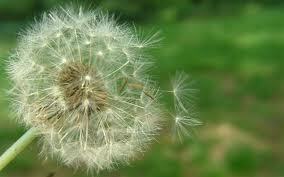 But on a deeper level, it is a poignant and meaningful story rich in metaphor and symbolism. It is, in short, a coalescence of the whimsical and the profound, and it’s that rare gem that makes the viewer laugh as well as cry. 3. As readers of this blog are probably aware, I am a fan of vintage things–old comic books, movies, TV shows, and history in general. So it’s likely not a surprise to hear that I really enjoy old black-and-white presentations. 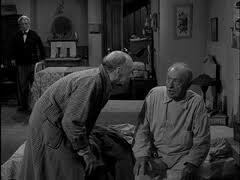 Take my favorite all-time show, The Twilight Zone, for instance. What would those old masterpieces look like in color? I shudder to think of it! The black and white lends a moody, atmospheric presence, a level of creepiness and intrigue that color, counterintuitively, perhaps, would all but negate. Certain movies or TV shows are better in color, no doubt. 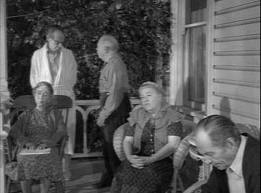 But for shows like The Twilight Zone, or movies like Psycho, the black-and-white format adds much to the visual effect and milieu. 4. 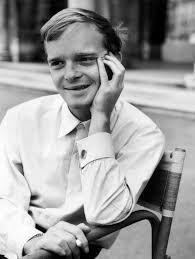 One of my favorite writers is Truman Capote. 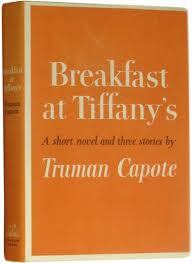 For sheer elegance and mastery of the English language, Capote is hard to match. His prose is at once straightforward and concise as well as lyrical and mellifluous. Capote would agonize over his work, examining every sentence, wanting it to sound just right. When you read his writing, this attention to detail and quest for excellence is very apparent. A true master wordsmith. 5. It is sometimes said of the state of Vermont, “There are more cows than people.” In actuality, this is not true. 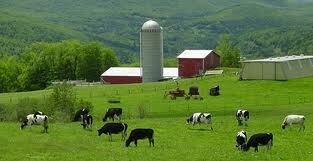 There are over 600,000 people residing in the Green Mountain State, while there are “only” about 300,000 cattle. However, in the small town where I live, in central Vermont, there really are more cows than people! 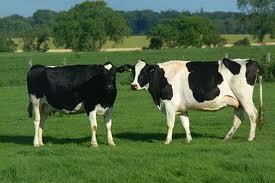 Just up the road, there is a working dairy farm with well over 300 cows. That alone tops the human population, and doesn’t even include the other farms in the area. 6. 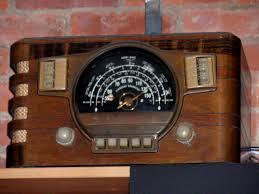 I enjoy listening to the occasional baseball game on the radio. 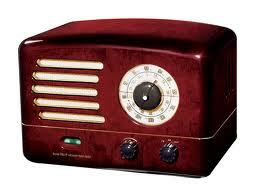 Not all sports play well on radio, but baseball sure does. The relaxed pace of the game, the stops and starts, the long gaps between pitches, lend themselves to storytelling and anecdotes, where broadcasters can paint word-pictures for their listening audience. 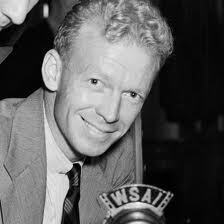 Some of the best announcers in baseball history started on the radio: Vin Scully, Harry Caray, Red Barber, and Ernie Harwell, just to name a few. 7. 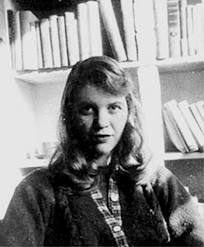 I have always been fascinated by the poetry and life of Sylvia Plath. 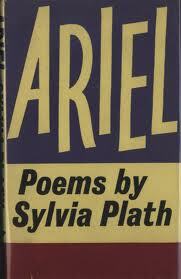 A tortured and talented soul, her output of poems is among the most powerful and haunting of the twentieth century. When I was a graduate student of English, I wrote a long paper on Plath’s early work, and had the wonderful opportunity to visit Smith College, her alma mater, for a day, and go through her archival collection there. And now it is my privilege to nominate the following 15 websites for the Dragon’s Loyalty Award! I hope you’ll visit all of these great blogs, and I have no doubt you’ll enjoy them! Thank you again to Tazein for the nomination! And thank you, everyone, for reading! We learn early on in The Eye-Dancers that Mitchell Brant is a comic book collector. The old, vintage issues transport him to a different place, one filled with magic, wonder, and gold-glittered avenues that lead to a world of endless possibilities. As it turns out, these qualities will become essential to his survival. As the novel progresses and things seem more and more hopeless, Mitchell must tap into that sense of magic and wonder. He must believe in those possibilities, and keep the faith that everything will work out in the end. I wrote the short story “Relics” while I was still writing the first draft of The Eye-Dancers. The main character in “Relics” must, like Mitchell, believe in the unbelievable, and hold on to faith when all reason, all logic dictates that hope is lost. And, surely, Mitchell would appreciate the role that vintage comic books play in this story. I hope you enjoy “Relics” . . . Looking at his wife from across the room, it was easy for John to pretend that things were normal, the way they should be, the way they used to be. She was sitting on the couch, her light blonde hair in a ponytail. Everything seemed in place, as if their life, her life, hadn’t taken a sudden, irreversible turn four months ago. But then his eyes shifted, just a little, to the right, and he saw the wheelchair. He swallowed hard at the sight of it, took a deep breath, and crossed the room. She smiled at him when he sat beside her on the couch, and he reached for her hand. At least she can move her arms, can breathe unaided, he thought. At least the damage was only from the waist down. The doctor had told him, hours after Lori had been rushed into the ICU, when his world felt like it was spinning and reeling, out of control, that his wife was fortunate. The collision had been head-on. It could have been much worse. She was lucky to be alive. And, after assessing her injuries, the doctor assured him that she would live, recover enough to lead a productive life. There was only one catch. “Never?” John had asked. Nothing seemed real. Lori was fortunate? Fortunate? Is that what this guy had just told him? A miracle. He had read very little on paralysis—he’d never had reason to. It hadn’t touched his life or that of anyone he knew. But now, now, it loomed before him, a towering monolith, tottering, toppling, about to land on him and crush him to dust. He scoured the Web for hours, days, gleaning information, searching for guidance, stories of recovery, of hope. He read about the latest research, the new and exciting discoveries that were being made every day. Of course there were differences of opinion among the experts, but nearly all of them agreed on one thing: a cure was still a long way off—years, decades, even. Someday, catastrophic injuries to the spinal cord would be healed. There was little doubt about that. 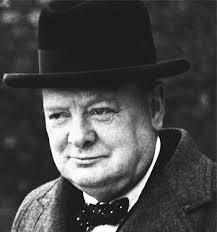 But that day was but a speck on a distant horizon, ten thousand tomorrows hence. What good would it do Lori? “I think I have a little more feeling in my right leg,” she said. Sitting next to her on the couch, as he had so many times before the accident, the questions came in a torrent. Why couldn’t he turn back the clock? Why did she have to be driving on that road, at that moment? Why did the other driver, intoxicated beyond all reason, have to pick that night to lose control, why did he have to swerve into the wrong lane just as Lori was approaching . . .? He rubbed his temples, his forehead. A raging headache was coming on. Ever since the accident, he’d been getting headaches regularly. Thinking too much. Brooding too hard, too often. She loved to run. She had been training for a marathon. He tried to join her a couple of times when she went out for a run, but he couldn’t keep up. Lori was like that with everything—a dynamo, always in motion, full of energy and life. Now what was she? “I just have to believe, that’s what I tell myself,” she said. He saw her veins bulge out on the side of her neck, felt her hand squeeze his, hard. She was trying to move her legs. Pearls of perspiration beaded on her forehead. He felt like telling her not to strain herself. It wasn’t worth it. It wasn’t worth the frustration, the effort, the heartache. And yet, every day, multiple times per day, she kept trying. . . .
“Unnnh,” she said, and finally relaxed again. She let her head fall back, against the couch cushion. Immediately he noticed moisture forming in her eyes. “Damnit!” she said, lifting her head, looking at him. “Why won’t they move? Why can’t I make them move?” She cried then, and he reached out to hold her. “Ssh,” he said, stroking her hair. He wanted to follow this up by saying everything would be all right, things would get better. But he didn’t. He had no right to say such a thing. He wasn’t the one who could no longer walk. He wasn’t the one who now owned a broken and battered body, full of pain and unending, unrelenting frustration. He again thought of what the doctor had said. It would take a miracle for her to walk again. The therapists at the rehabilitation center—where Lori had learned how to compensate for a crippled lower body, where she learned the skills she would need to lead a reasonably independent life, where she learned how to cope—all of them had said the same thing. It was better, more productive, to work hard at rehab, focus on today, on realities, on tangible goals and graspable plans. For the most part, Lori was adjusting remarkably well—better than he would have, he was sure. She even intended to go back to work at some point. But she had not been willing to believe that her paralysis was permanent. Not when she first heard the news, and not now. “I’m sorry,” she said, sniffling. “I didn’t mean to cry like that.” He could tell by the determined expression on her face that she was readying herself for another try. He didn’t want to watch her strain and strain, to no avail. Not again. He got up, feeling guilty, as he often did these days, at the easy functionality of his legs. “I’ll go back to making supper,” he said. The fact was, he hadn’t even started supper yet. She looked at him. There was a hurt in her eyes, and it had nothing to do with her now useless legs. She had asked him before to believe with her, pray with her, dare to hope. “Miracles are like flowers,” she had said just yesterday. “They need watering. They need care.” Perhaps. But he couldn’t raise up his hopes, only to have them dashed every time he saw her struggle to move her legs. Maybe she was simply stronger than him. Or more naïve. 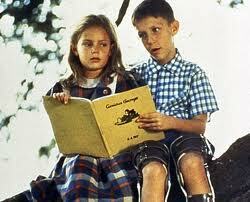 Then again, it was her legs, not his, that were paralyzed. He wondered, had their situations been reversed, how he would be coping. He guessed that he, too, would be hoping, working, for a miracle, just as she was. The difference was—if she were in his place, she would, undoubtedly, be believing, too, right alongside him. He hoped she’d smile at this, but she didn’t. She just stared, straight ahead, concentrating, getting ready for another round of exertion. He cleared his throat, wishing he could find the words she needed to hear, the words he needed to say, whatever they were. But all he did was walk out of the room, into the kitchen. He made supper, burning the sauce and boiling way too much spaghetti. He didn’t have much of an appetite. That night, after she had maneuvered out of the wheelchair into the bed without assistance, she was thumbing through a photo album. In the pictures, Lori was usually smiling, moving, the camera catching her in full stride, or with a tennis racquet, about to strike the ball, or playing Frisbee, reaching out to make a one-handed grab of an errant toss. There was one picture of the two of them, taken with a self-timer, on the summit of a mountain they climbed five years ago, a lifetime ago, on a trip they had taken to the Pacific Northwest. Beside her in bed, his gaze, inevitably, continued to fix itself on her legs—how healthy they looked in the photographs, how ready to scale and run and conquer the land. Why did she look at these relics? These reminders of a life that used to be, but could never be again? What good did it do? Beside him, he heard the photo album snap shut. That stung. It made him feel like a failure, a pathetic excuse of a man. On the other hand, what was he supposed to do? What was he supposed to say? They didn’t exactly write instruction manuals on how to adjust to life after your wife becomes paralyzed. “You must really think I’m stupid,” she said. There was a quiver in her voice. I put that there, he thought. I hurt her, again. “Hi, John, glad you could make it,” Seth said, smiling, the creases in his face multiplying like randomly expanding spider webs. John smiled back. He liked Seth. He’d worked for him at his previous job, and the two became friends. When John quit, moving to a higher-paying position at a company across town, they remained in touch; though, since Lori’s accident, he rarely got out to see anyone. 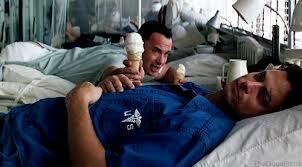 He hadn’t seen Seth since the older man had visited him in the ICU, when the nightmare was still fresh and new. He’d barely heard what Seth had said that day. John nodded, and an awkward silence hung in the air. It was Seth who broke it. “Come on inside,” he said. Another smile, more multiplying spider webs. Seth’s house was a spacious ranch, overlooking a two-acre backyard, complete with a trout pond, lilac bushes, a well-kept flower garden, and a vegetable garden that was his pride and joy. He had boasted about his garden dozens of times at work, before the start of a meeting, as employees shuffled in to the conference room. But the boasts were true, and now, at the height of its midsummer lushness, the garden looked to John like an oasis, a rich, green world just waiting to lure him in with its charms. 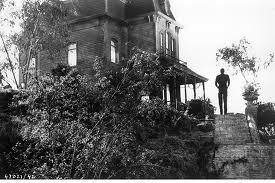 Seth led him to the back den, with its wall of windows and glass-sliding door that opened out onto the green expanse of the yard. There was a birdfeeder just beyond the windows. Blue jays and grackles scuffled for control, while a cardinal and two grosbeaks looked down from a nearby perch, waiting for a chance. But what really caught his eye were the comic books. There were two stacks of them, side by side. One stack piled at least three feet high, the other much less substantial—only a dozen or so comics. Beside this smaller stack, a pair of scissors, a collection of envelopes and stamps, and several clipped-out old advertisements lie scattered on the floor. Seth sat down in a cream-colored, comfortable-looking oval chair. He did as instructed, sat down, let out a breath that felt as though it had been building for months. It actually felt good to be here, away from the house, for a little while. He wasn’t sure if he should leave Lori alone, but she had all but pushed him out the door, assuring him that she’d be fine. Besides, his extended leave of absence from work was coming to an end; he would be going back next week. So this would be good practice for both of them. She wouldn’t be a burden to him, she said. They needed to get on with their lives. “What you must think of me,” Seth said. “I didn’t even offer you a drink. Maybe that’s what being a department manager does to a fella after a while—gives him a big head.” He jumped up, spry as a man decades younger, and walked swiftly into the kitchen. He returned a moment later, with two glasses of lemonade. “Thanks,” John said, reaching for one of the glasses, taking a drink. Very tart, just the way he liked it. But he felt shy being here. Usually, when he saw Seth, they met for lunch or coffee in one of the cafes downtown. Sometimes they golfed together. Rarely did he come here, to his ex-boss’s house. He eyed the stack of comic books, looking for a diversion. “You went back home?” John asked. He’d been so out of touch with Seth, with everyone. This was the first he’d heard of it. John couldn’t relate. Time, to him, had nearly stood still these past few months. The vigil in the ICU, the long, tedious, torturous days at the rehab center, and now the days spent at home, with Lori, as she struggled to readjust her life, to master what had once been the simplest of tasks but now, thanks to the recklessness of one drunk driver, had become grueling tests of grit and patience. Seth glanced at the scissors, then at him. 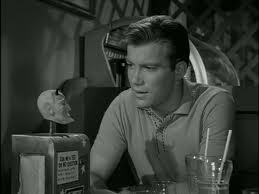 John could almost hear the cogs and circuits spinning in the older man’s head, could almost hear his thoughts. Didn’t he come here to talk about his wife, about what happened? Isn’t that what he needs? To talk about it? But, to his relief, Seth didn’t push or prod. But the clipped advertisements, the stacks of old comic books—these weren’t merely ramblings. . . .
Outside a blue jay hollered at a bold grackle, and there was a flutter of wings as they both flew away. Eager to pounce, the grosbeaks descended on the feeder. Young? Lori was young, too—in her midthirties, a lifetime ahead of her. But what did it matter? What kind of life would she be able to lead? Yes, she would reenter society, return to work, read, think, dream, imagine. But would she be able to run again, to train for marathons, to hike up hills and mountains? Young. What was youth to her now? What was it to him? He took a sip of the lemonade, hopped off the sofa, knelt on the floor, beside the comic books. The top one on the taller stack was a Superman, with a cover story titled “The Man with the Zero Eyes.” He examined the cover, admiring the artwork, then looked at the ads, scattered on the floor. There was one for sea monkeys, another for a Daisy Air Rifle, another for free passes at an amusement park—valued at twenty-five cents, the ad boasted. The advertisements themselves were brittle, the paper yellowing. Relics. “Did you just cut these out?” he asked then, as he picked up the Daisy Air Rifle ad, examining it. Grinning boys, guns in hand, smiled back at him from across the chasm of fifty years. John didn’t know very much about comic books, but he did know that old collectable comics were worth a great deal of money—sometimes astronomical sums. He also knew that if you clipped out the ads, said value would plummet like a failing stock. What was Seth up to? John knew that Seth had never been married. He rarely talked about his past, but he had mentioned once how lucky John was to have found Lori, to have found love. And John knew he was right. He hadn’t met Lori until he was twenty-eight, and he often wished he had gone to school with her, had a chance to meet her sooner in life. But then he’d stop himself. He was fortunate to have met her at all. They’d planned on having children, but hadn’t yet. They thought maybe next year would be the right time to start a family. But that had been before the accident . . .
“Why’d you just cut these out now, though?” he asked. His train of thought was moving too much toward his own life, his own loss. He didn’t want to deal with that, not now. Hadn’t he come over Seth’s to get away from himself, even if only temporarily? The older man just sat there. John thought about repeating his question, but he didn’t. Surely Seth had heard him. John just looked at the older man. None of this was making sense. “But . . .” All of a sudden, it seemed like there was so much to say, and yet nothing to say. He was ready to tell Seth that this was all crazy, a childish scheme, ridiculous. A waste of time. But he found his fingers rifling through the stack of comic books. 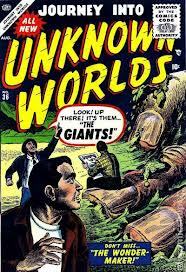 He felt them pull out an issue of Journey Into Unknown Worlds, number 36. 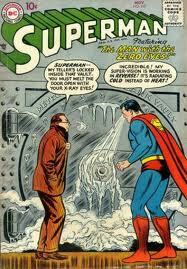 The cover featured a species of giants, preparing to menace the ill-prepared human race. What am I doing? he thought. Why am I taking this? He was in the living room, flipping through the comic book, actually enjoying the stories. It was published in 1955, but the material held up surprisingly well. Whenever he saw an ad, he examined the merchandise, considering whether or not to clip it. He had a pair of scissors at the ready, on the seat beside him. . . . But one ad in particular caught his eye. “Unnnh!” It was Lori. She was in the bedroom, supposedly taking a nap. Apparently, she hadn’t felt like sleeping. “Unnh!” Every few seconds, he would hear her grunting. He didn’t need to go to the bedroom to know what she was up to. He formed a mental picture of her—sitting on the edge of the bed, arms pressed firmly down on the mattress, supporting her weight, as she struggled to move her legs. He could easily visualize the sweat forming on her forehead, her face scrunching up, her eyes tightly shut as she pushed, focused, threw everything she had into the effort. He looked at the ad of the magic wand, and suddenly he felt a firm conviction. With his wife straining in the other room to move her legs, her feet, just a little, just a twitch, a spasm, anything—he picked up the scissors, lined them up just so. . . .
“I love you, Lori,” he said, and began to cut. Do you like grammar? Or do you approach the subject with a frown, a sideways glance, and maybe even a loud, expletive-laced groan? 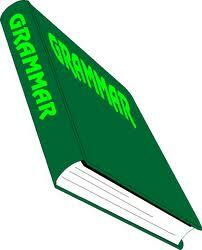 I admit, I’m one of those odd ducks who genuinely enjoys English grammar. My fascination with dangling participles, comma splices, and restrictive versus nonrestrictive clauses began in the eighth grade. My English teacher that year was a stickler for details, and did not tolerate clumsy grammar. I can still remember the way she used to pound it in our heads, day after day, not to use a subject as an object in a prepositional phrase. This was her number-one grammatical pet peeve. “It’s not correct to say ‘for you and I,'” she would shout. “Take out the ‘you.’ Would you then say, ‘for I’?” Many of her students would bury their head in their hands, a glazed, get-me-out-of-this-class look in their eyes. But I enjoyed these lessons. So it is certainly my hope that The Eye-Dancers is free of grammatical errors. Then again, when going strictly by the letter of the traditional law, The Eye-Dancers is littered with grammar issues. And so is just about every book published today. “As soon as he [Mitchell Brant] opened the door, a bell jangled, announcing his presence. Faces turned to look at him. Grizzled old faces, coated with stubble. Fresh, young faces, questioning, sizing him up. Middle-aged faces, embedded with deep smile lines and wrinkles around the eyes. The attention made him uncomfortable, and he glanced behind him, through the window. He saw the girl walking away. This excerpt is from chapter eight of The Eye-Dancers. And–technically speaking, we have issues here. Notice the number of sentence fragments. Three alone in the first paragraph. And in the second paragraph, another one. Not to mention it represents a one-word paragraph. A by-the-book grammarian might tell me to get rid of the fragments. 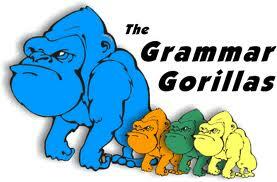 Turn them into grammatically complete sentences. And, for heaven’s sake, don’t ever write a one-word paragraph! My response? True. I have broken a few of the rules here–but deliberately so. Sentence fragments, when used judiciously and appropriately, can add punch to a narrative. They are short, staccato nuggets that help to move a story along. It’s important not to go overboard, of course, and if they appear in every paragraph, they become tiresome and repetitious. But when used in the right places, they can add rhythm and flow to your writing. As for a one-word, or one-line paragraph–I believe, when used in the right places, this can add emphasis to the narrative. The “whew” above is a good example. If it were tacked on at the end of the first paragraph, it would be an afterthought. Setting it apart, as a one-word paragraph, adds to the feel of it. This way, you can almost see Mitchell breathing a sigh of relief. “Whew.” It gives it extra weight. This of course does not apply to egregious grammatical errors. Imagine trying to read a sentence like this: “She, went to, the store to buy a, loaf, of bread.” It’s understandable, but the misuse of commas makes this an awkward, difficult reading experience. Errors like this can ruin a piece regardless of how effective the content might be. In dialogue, of course, the standards are different–less stringent than in narrative text. 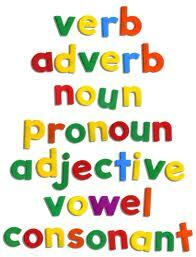 If your character speaks in slang, and altogether butchers proper English grammar, more power to her! Even English professors commit all manner of grammatical faux pas when they speak. For example, I picture an English prof, on a Friday night, after a hard day of teaching the rules of proper usage and airtight grammar, hitting the town with her friends. It’s time to relax, have fun, throw caution to the wind. If I were writing her as a character in a story, I might have her speak in occasional double negatives, say “that” when she should say “which,” and introduce herself and her friends as, “Me and. 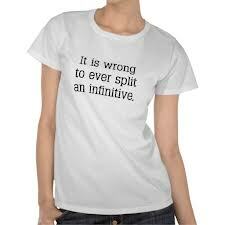 . . .” I might even have her wear her “split infinitives” T-shirt, for good measure! But then, the following day, she would have a stack of papers to grade, and she would once again put on her English professor’s cap. Because she would realize . . . In order to know when it’s okay to break the rules of English grammar, you first need to understand and acknowledge the rules you’re breaking. To Like or Not to Like, That Is (Not) the Question . . . 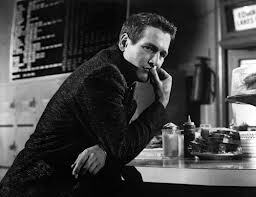 Without a doubt, Paul Newman was a superstar, one of the great Hollywood actors. 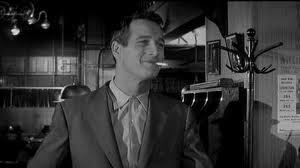 His success dates back to the 1950s, starring in such films as Cat on a Hot Tin Roof and The Long, Hot Summer. 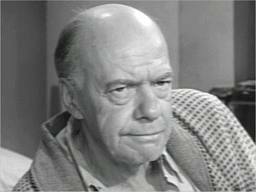 But it was his performance playing pool shark “Fast” Eddie Felson in the 1961 movie The Hustler that cemented his status as one of the all-time best. The question immediately arises: What is it about Fast Eddie Felson that gripped and moved audiences, that allowed Newman to catapult to the very top of his profession? No question, Newman was a gifted actor, and a lesser talent may not have played the part so well. 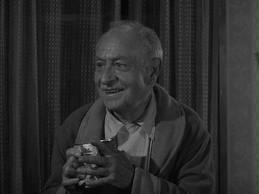 Nevertheless, there is something memorable about Fast Eddie, the fictional character. There is something about him that stuck with people, and wouldn’t let go. Is Fast Eddie just so likeable? Is that it? Surely, he is charming. With his boyish grin, good looks, and natural flair and charisma, Eddie Felson is easy to notice. A great guy, right? Not really. All too often, he’s a boorish jerk who mistreats the people closest to him. A small-time hustler, Eddie thinks of himself as the best pool player in the country, and he wants to prove it by squaring off against the legendary “Minnesota Fats.” He gets the match, and, despite jumping ahead early, ultimately loses the contest–a grueling 36-hour pool marathon. After losing to “Fats,” Eddie is down to his last $200. He is often insensitive to Sarah, treating her with very little respect, yet he maintains his cocky attitude. Eddie Felson doesn’t walk. He struts. He doesn’t smile. He smirks. He’s a jerk. And yet . . . there is something about him. Something endearing, nuanced, vulnerable. Beneath his bravado, Eddie is like a little boy desperately trying to prove himself. He feels the need to be the best because, deep down, he doesn’t believe he is. 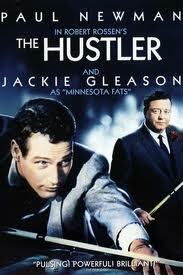 By movie’s end, he does get that rematch with Minnesota Fats, and he does in fact beat him. At a terrible cost. Sarah has taken her own life, largely as a result of Eddie’s choices and misplaced priorities. Beating “Fats” is hollow. The goal he had wanted all along means nothing. Eddie finally understands this, too late. You might think, as an audience, we would say, “He had it coming, he should be miserable,” and leave it at that. After all, if he had chosen a different path earlier in the movie, the tragic outcome could have been avoided. But then we pull back. Don’t we all have a little Fast Eddie in us? Don’t we all make mistakes? Don’t we all, at times, overemphasize trivialities at the expense of life’s essentials? Eddie Felson is not less of a character because of his flaws. He is more of one. When I wrote The Eye-Dancers, I hoped to create characters with layers, depth, dimensions. It would be easy to label Marc Kuslanski, for example, as the “science geek know-it-all,” and Joe Marma as the “tough kid with the big mouth.” And it’s true. Both boys fit those descriptions. But, it is certainly my hope, that’s not where the descriptions end. I’m not sure if readers will like Joe Marma and Marc Kuslanski. But I hope they’ll understand them, and look at them as flawed people with real feelings and real emotions. And maybe that’s what it’s all about. Maybe that’s what characters need to do. They feel. They hurt. They strive, and they fail. They make progress, and lose ground. They cry and scream and claw. They are us. They don’t need to be perfect. They don’t need to have all the answers. They don’t need to be an archetype or an ideal. They don’t even need to be liked. They just need to be human.